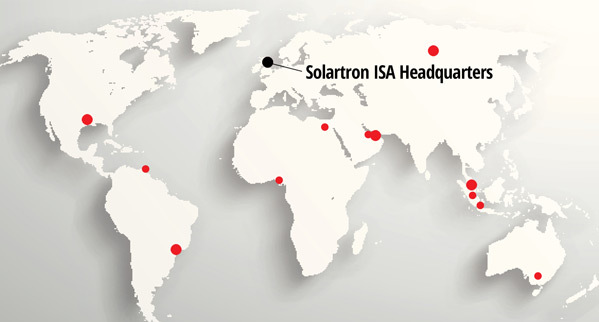 At Solartron ISA we are committed to providing a total delivery experience for the life of field with all our products. As a partner to the global Oil & Gas industry for over forty years, Solartron ISA is a recognised leader in the design, manufacture and service of high quality flow measurement equipment. We provide worldwide Aftermarket technical support. Our Aftermarket team is staffed with Regional Managers and Field Service Engineers who provide knowledgeable and responsive support via phone, e-mail and on-site activities. We also employ Solartron ISA trained personnel for technical support of numerous global offices located in the Singapore, Australia, UAE and the United Kingdom. This global network is continually growing as we seek to support our rapidly expanding, global customer base with superior customer service. To assist in on time support and promote the continued accuracy and efficiency of our metering systems, we also offer an Annual Life of Field Support Contract which will be tailored to your requirements for asset management.